matthew is using Smore newsletters to spread the word online. Bringing WHS the news that matters since 2015. She’s not just Kate, she is Kate Brady. There is no just “Kate”. When you refer to her, you refer to her as Kate Brady. Together. It’s her name, and the only way she is referred to. I have only heard teachers refer to her as purely “Kate.” But everyone knows her as Kate Brady, Student Body President. Since I moved to Wren in the fifth grade, I had always known Kate Brady was meant for great things. She’s the girl everyone said would eventually become president. Not because Kate is political, but because Kate is a leader. She’s not a self-proclaimed leader either, but she is the type of person that people want to follow. She is articulate, kind, and generous--all the things that we want in leaders. She’s humble, too, and quiet about her successes and where she excels. 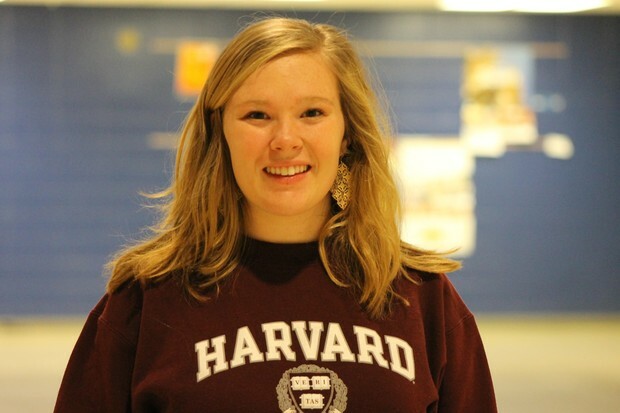 Kate Brady decided to apply Early Action to Harvard University. Early Action applicants submit their application by November 1st, and they hear back by December 15th with their decision. Harvard’s Early Action accepted 977 of 5,919 students this year, and Kate Brady was one of those students. When I asked Kate what lead her to apply to Harvard, she was ready with a response. “Well, I have been touring colleges with my parents for years. Ever since like middle school, we would always try to include a stop by a college on all our trips. Harvard was never one of those places; in fact, I wasn’t really considering it all…that is, until I went to Girls Nation this past summer." One of Kate's Junior Counselors at Girls Nation was attending Harvard, and after becoming close to her, she decided to visit. After flying to Boston, and seeing the campus, she felt like God was really calling her to apply. The feeling of home away from home is what called Kate to apply to Harvard, especially with such a grueling application process. She used the Common Application, which is an extremely detailed online application used by many schools in the United States. Two personal essays, along with a supplemental essay were required. Lastly, two SAT subject were encouraged, and she took both of those. When I asked her what she thinks made her stand out, she says it was her ‘Southernness.’ “It’s not that Harvard doesn’t usually doesn’t accept people from the South, but one thing that I think made me unique was my love for where I live. I talked a lot in my essays about the trip my parents and I took to all of the counties in South Carolina, and I think that perspective, along with my love for writing about it, helped me stand out in the application process." Kate has always had a love for South Carolina that has really shined through her. When she talks about this state, she has a passion for it that you don't usually see in people. Kate plans on majoring in English at Harvard, but she doesn’t have to declare her major until the end of her sophomore year. She says, “I love to write, and I think English is really awesome because you can apply the thinking skills from reading and writing to any challenge in life. I am really open-minded though. I am also very interested in history and politics.” Knowing Kate though, she will have it all figured out when she gets there. Coach Hyndman even had a few things he wanted to say about Kate. "It's a great honor for Kate, who has really worked hard to get to the point where a school like Harvard wants her. It is also a great honor for our school and speaks volumes about the education one can get at Wren High School. I am very proud of her and no one is more worthy than her." When I asked her about the challenges she expects in being so far away from her family, her friends, and the state she loves, she talks about it like she is a traveler on a journey. “I am looking forward to the challenge; I see it as a grand adventure. I expect the normal challenges of college: living with a roommate, being more responsible, and learning to do laundry, etc., but I am also expecting a huge adjustment in living so far away from home and in such a big (and cold!) city. I expect to be challenged to understand more about what I believe and challenged to meet new people and make new friends from all around the world.” But Kate is ready to face those challenges head on, and is looking forward to all of the people she will meet, where she will live, and everything that Harvard has to offer. I have been friends with Kate Brady since I moved to Wren. She is one of the kindest, sweetest, and most articulate people I know. She is honest, and hardworking, and I couldn’t be more proud to call her a friend. We have been in classes together for as long as I can remember, and over the course of the last few years she has shown herself to be one of the kindest people I know. We have worked together in debate and through Junior Leadership Anderson, and I know she will succeed wherever she goes, in whatever she does. 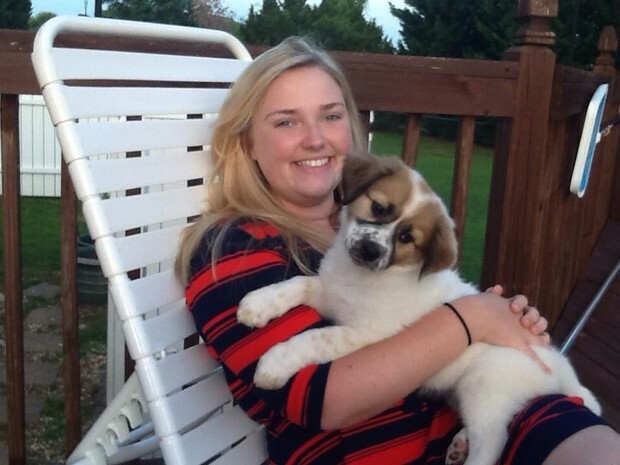 I know Wren is proud of Kate and everything she is doing and the name she is making for our school…not only as a student, but as the type of person she is. 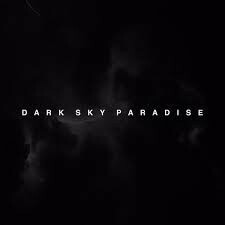 Dark Sky Paradise, rapper Big Sean’s third studio album, was released on February 24th under GOOD Music and Def Jam Recordings. This album features a number of big names, including Kanye West, Drake, Lil Wayne, Ariana Grande, with production handled by a number of prominent producers, like West (who is an executive producer of the album), DJ Mustard, Mike WiLL Made It, and DJ Dahi, among others. With this powerhouse of features and production credits, did Big Sean outdo his last two commercial releases? If Big Sean did one thing with this new album, he finally got comfortable. He found a sound that he can go with through the entire album. His flow doesn't sound as forced and actually sounds original, unlike his past two commercial releases. While Big Sean’s flow isn't the most impressive, his wordplay isn't the cleverest, his lyrics can be cheesy, and the things he raps about aren't the most thought-provoking, he is definitely fun to listen to. 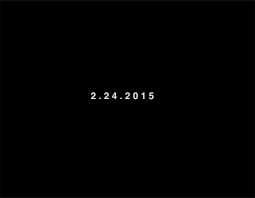 The album starts off with the track "Dark Sky," which serves as good intro to the album. He raps about the common themes that are apparent throughout the entire album: money, girls, how he’s been waiting to release this album, how his clique is the best, how successful he is, and how he “started from the basement, made it to the skyscrapers.” The next three tracks on the album are the strongest. These include "Blessings," which features a guest verse from Drake, and "All Your Fault," which features a guest verse and production from Kanye West. All three emcees spit the best verses of the album of the album on these songs. After the first four songs were so strong, the next six songs, which include "Play No Games," "Paradise," "Win Some Lose Some," "Stay Down," "I Know," and "Deep," is where the album hits its low point. These songs are very reminiscent of Sean’s previous work: They’re mediocre. These songs aren't necessarily bad, but none of them have anything truly outstanding about them. Big Sean consistently stays okay through these six songs, and Lil Wayne has a guest appearance on "Deep," where both rappers attempt to say something worthy of thought, but come up short. In "Play No Games," what Sean raps about is about as deep as a kiddie pool. After hearing the first line, “Half the time you send a text, yep, you know I’m not replying,” I could already tell that this song was going to put me sleep faster than a video of grass growing. The sixth song on the album, "Paradise," is a perfect example of why Big Sean’s previous work is mediocre. His flow sounds so forced that it is almost painful to hear him fluctuate rapping speeds and stumble over the beat. After this bad streak of songs, the album redeems itself with the last two songs, "One Man Can Change The World" and "Outro." "One Man Can Change The World" features vocals from West and singer John Legend, whose voices both add to the very soulful and chill beat. Sean finally comes through with a verse that ACTUALLY says something meaningful. As the title of the song states, Big Sean tells his listeners that they can basically do anything they put their minds to. Even though this theme is by no means new or ground-breaking, it’s a good song that holds its own. 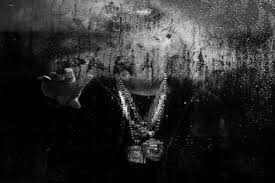 Dark Sky Paradise is definitely Big Sean’s best release to date. It is Sean’s first album to debut as number one on the top 200 billboard chart, and sold 173,000 copies in its first week. This album’s high points are very impressive, and while its low points don’t compare very well to the rest of the album, they aren't terrible to the point where I had to put the album down. The production is A1, which should be expected when Kanye West is one of the executive producers. I give this an album a 7.5/10. It’s not amazing, but it’s good and enjoyable to listen to. 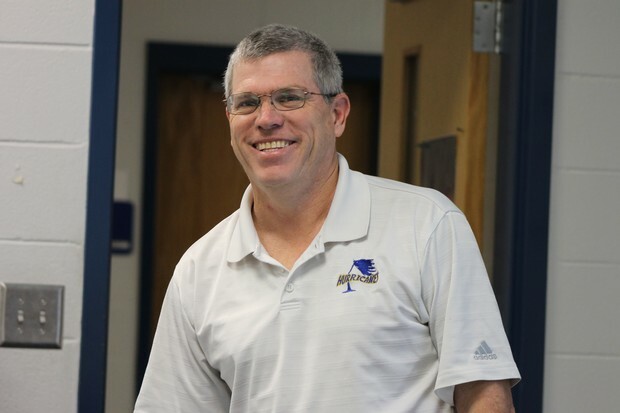 Wren's band director, Chuck Hamlett, graduated from Wren in 1996. After obtaining a bachelor’s degree in music education from Western Carolina University, and a master’s degree in music from Southern Wesleyan University, he started teaching at Wade Hampton High School. He then taught at Getty’s Middle School before coming to Wren. 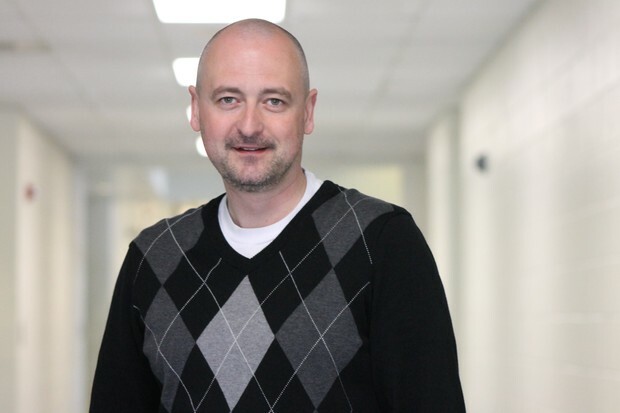 As a fairly new teacher, Mr. Hamlett has to work especially hard to break bad habits and form new traditions for the music program to grow and excel. What you may not know about this laid back band director, is that he is a member of the National Guard. After the attacks on the World Trade Center on September 11, 2001, Mr. Hamlett felt compelled to do his part to defend our country. He enlisted in the National Guard, and ever since then, he has had to balance his duties as an educator and his duties as an army guard. During marching season, Mr. Hamlett is on the field 5 days out of the week. This doesn't leave much room for free time, but somehow he manages to find time to fly once a week. On Wednesdays after school, he makes a trip to Columbia, SC, and logs flight time. This keeps him very busy, but he says he feels fortunate to have the opportunity to do two things he is really passionate about. Being in the military can teach some one a lot about themselves, but the biggest thing Mr.Hamlett discovered about himself is his ability to handle stress in difficult situations. And the one thing he learned that he wishes he could teach his students? Never give up. He says, “Sometimes you've just got keep your nose down, and push forward, and keep working.” I can't speak for anyone else, but this is definitely a lesson he has taught me. I know several people who have had trouble adjusting from one band director to another. After all, Bruce Caldwell was loved far and wide and brought a lot success and recognition to our band program, but I believe that Mr. Hamlett will take the Wren High School music program to places we never thought possible. “I'd like to see us grow, to have more participation. And I hope that as we grow we can elevate our state ranking,” he said. I asked him what we, as a band, have to do get where we’re going within the next few years. “The biggest thing we have to do is balance the competition side of what we do with the fun entertainment side,” he says. 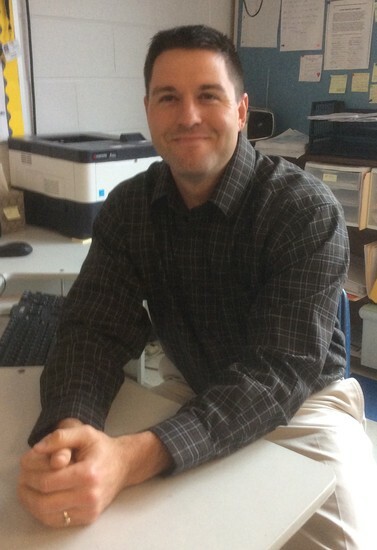 Mr. Hamlett is someone who encourages progress and teaches life lessons such as perseverance and balance. He not only serves our country, but he also serves his students by helping them develop skills they will use for the rest of their lives. He has taught me that no matter what happens, you can always endure more than you think, and it pays to keeps moving forward. Hamlet is a mentor, a role model, and one of the best teachers I've had. SO YOU THINK YOU KNOW ROBOTICS? The smell of WD-40 in the air, the sound of loud power tools, the shimmer of metal shavings on the ground. This is what you experience when you walk into the back corner of the Tri-County Industrial Technology Center. Students from schools all over Anderson County are busy working: cutting metal, stripping wires, and typing on a keyboard. To an outsider this may seem like a confusing mess, but to the students, everyone is working together to complete one goal: to build a robot. This isn't a science fiction book. These students are a part of FRC Team 4965 FIRE sponsored by Bosch and Tri-County Tech. FRC stands for FIRST Robotics Competition and is a robotics league for high school students. Students from all over world compete in this competition to build a robot in just six short weeks. The robot has to compete in a game that changes every year. In the past the games have consisted of shooting basketballs, throwing Frisbees, and hanging up large inflatable game pieces. This year’s game? “Recycle Rush” in which teams must stack totes and recycling bins to earn as many points as they can in a limited amount of time. Team 4965 has been working hard all season to create their robot in which they named “Debbie”, a four bar lift robot with a mecanum drive train. The build season is fun, but the competitions are exhilarating. There are nerds screaming while wearing weird costumes, buttons and other merchandise are being handed out in the pits where teams prepare for matches, and most importantly there are robots, over sixty of them. Team 4965’s first competition was the Palmetto Regional in Myrtle Beach, SC. This competition was held the first week after the end of build season, so just having a fully functional robot was an accomplishment. 4965’s robot, Debbie, was able to move in every single match they competed in, which is an improvement over last season. However, our performance on the field was below mediocre. We had a few mechanical issues: the plastic hubs on their intake motors broke, and the bar that actuated their intake bent constantly after every match. Also our drivers had little practice with their robot because they didn't finish building it until the last minute and some of our designs proved to be somewhat inefficient compared to other teams. However we have since redesigned our mechanism to be ready for the next competition. While our team did not win any awards, our mentor, Trish Hayner, won the Woody Flowers Award, a prestigious award given to mentors showing particular excellence in spreading STEM education. Also the judges gave us recognition for their team safety, both during the competition and due to their safety plan. Though, this competition proved to be somewhat of a disappointment, Team 4965 FIRE is going to bringing the heat for our next competition: the Smokey Mountain Regional in Knoxville, TN. This program is open to all students in the area with a wide variety of skills. To utilize these skills, the team is broken up into four main sub teams: mechanical, electrical, programming, and business. The mechanical team is the group of students that actually build the physical robot. At the start of the build season the entire team gets together and brainstorms ideas that they think will best suit the game for that year. To figure out which designs will work and which ones won’t, this team makes prototypes of each one. The mechanical team then converts the final design into a 3D computer model using the Solidworks design software. The electrical team is in charge of wiring the control system of the robot. FRC robots are controlled by the National Instruments roboRIO. This is the main “brain” the robot that controls the actuators and reads sensor values. To wire the robot the electrical team must strip wires and crimp connectors to wire power and signal to all devices of the control system. 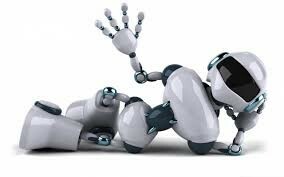 The programming team is in charge of writing the code that tells the robot what to do. FRC teams have the choice of three programming languages: LabVIEW, C++, and Java. Team 4965 uses Java due to its vast application in computer engineering, and it’s somewhat easy syntax. The code that this team writes tells the robot what to do when certain buttons on the joystick controllers are pressed. The business team is vitally important even though the rarely touch the robot. They are in charge of writing the business plan, working on safety information, finding opportunities for community service, and making sure the team meets the criteria to earn awards a competition. Also this team is typically the group of people that talks to the judges during competition. Without them the team would not be able to earn the awards that they work so hard for. The business team is also in charge of team finances. They make sure that the team stays on budget, they order parts, and they find sponsors. You can’t build a robot without money. The team also has several other roles that do not fall under the four main sub teams. These roles include driver, operator, human player, coach, scouts, team captain, and more. The driver and operator control robot on the field while the coach directs them in what to do. The coach is also in charge of strategy. The human player plays a different role every year. Most years, however, they must feed game pieces to the robot. Scouts gather information about other teams while at competition so that the drive team can strategize based on what their alliance members and opponents can do. The team captain has the most important job on the team. They set examples for their teammates to follow, teach rookies the ropes, converse with the mentors to provide appropriate communication between team members and adults, and they make the final decisions regarding the robot. Basketball and physics go hand in hand when it comes to the arts of shooting, dribbling, and passing the ball. The mind has to know how much force to exert on the ball and at what angle to shoot or pass it; one simple flick of the wrist could change an air ball to a three-pointer. Perhaps this is why physics teacher, Mark Hyndman, is so fit for the job of coaching the JV girls basketball team. Coach Hyndman will be retiring at the end of this year, so it was only right to finish the season with a bang and outstanding record of 14-5. When asked if he would've wanted the season to go any other way, Coach Hyndman said, "No, I had a great time. I had a great group of kids who learned a lot and got better, and that's what coaches want to see." Coach Hyndman won his 200th game win over a period of thirteen years while coaching JV Girls. "Beating Daniel" was the highest point of the season for him, but with the good comes the bad, and losing to Seneca left a bad taste in the mouths of the coach and his girls. A few of the girls made quite an impression on Coach Hyndman. "Shelena Mauldin averaged 12 points a game. She was our leading offensive player. Madison King, Emma Collins, and Ashley Collins had never played before, but they really improved. I think it was a good experience for them." Coach Hyndman also assisted in coaching the girls Varsity team this year. He comments that "It was a very good year for them. They got to the second round of the playoffs." Over the years, the girls who have once played for Coach Hyndman's JV team have made the move up to Varsity, and he says, "It's fun to watch girls who once played JV play Varsity. They've all improved." JV girls weren't the only ones who found joy in beating previously undefeated Daniel. Varsity player Meg Leatherwood said, "Beating Daniel," was also her favorite part of the season. When watching these girls play each season, it's easy to see that there's a connection between them. A special bond forms between a team and that bond also extends to the coach. Varsity player Christina Bell commented that her favorite part about playing is "being part of the team and growing closer to the other girls." More than a few players from the JV girls team have said that Coach Hyndman has made an impact on them and they wouldn't have been able to have such a great season without him; he will be missed as a coach, a teacher, and a friend. Overall, Coach Hyndman describes the 2014-2015 season as "memorable." 1. It’s not so much about where you go; it’s about what you make of where you go. I stressed and stressed and stressed about choosing a particular college. Location, size, academics, the prominence of the football program. You name it, I overanalyzed it. I don’t think I should have now. Everywhere you go, you’re going to have vastly different opportunities. What makes college cool is that you get to decide if you want to take them. Take them. Always. Pursue what you’re passionate about. That’s what makes your college your home—not where it’s located or where your friends from high school are, but the activities you say yes to and the friends you make through them. I encourage you to start taking those kinds of opportunities now. 2. You have to want it and you have to work hard. Now I know that Wren is competitive. I truly believe my alma mater has some of the best and the brightest students in South Carolina. College takes that to a whole other level. There’s always going to be someone smarter than you. You can’t survive on determination alone, although that’s great, but you have to work hard. I was that girl that didn't really have good study habits (or really study habits at all) in high school but somehow managed to do pretty well. Studying is necessary in college simply because of the amount of material that is covered in a semester. If you want to stand out academically, maintain scholarships, or get a good GPA, you have to have drive and you have to be diligent. Start practicing those things now. 3. Be prepared to have a lot of free time. You might be thinking that this sounds great (I thought so, too), but the thing is that you have to choose how to spend that free time. And let’s just face it-- most of that time should be spent doing work. Does that mean you’re not going to splurge and binge watch Netflix sometimes? No. You will. And I do. It’s pretty great. It’s just all about time management. Stewarding your time well is the greatest skill you can learn to prepare for the future. That applies to the rest of your time in high school, college, and in the working world. You have to learn to realize when is the correct time to hang out with friends and have fun and when it’s time to focus and work. That balancing act is the key to a college student’s life. 4. Please learn how to wash your clothes. Don’t be that kid that has to ask someone else how to use a washer and dryer after the first week of classes. Just don’t be that kid. But hey, even if you are that kid, I’m excited for you. Why? Because college is going to teach you so many real world skills, it’s going to blow your mind. It’s already taught me so many little things that are always going to come in handy. 5. Be open and believe in yourself. Be open to new experiences. Be open to new people. Be open to getting completely out of your comfort zone. Be open to others who have views that are nothing like yours. If you go into college closed-minded, you’re not going to come out happy. Never change who you are, but never act like you are better than someone else is. It gets you nowhere, I promise. College isn't the easiest thing, but I believe that every single person has the ability to make it through if that’s the route they choose. Believe that for yourself. Believe in yourself. That’s when you’re going to do your best work and when you’re going to have the most fun. I loved my time in high school. I had great friends and cool teachers. I made good grades and had fun. My main regrets are that I wasted a lot of opportunities that were thrown my way and that I didn't foster traits that would have helped with my transition to college life. Do better than me. College really is great, but I’m hoping that for you it will be even greater. If you have an idea for the newspaper or would like to be a part of it, contact Mr. Truesdale in his room (408) or via email: truesdalem@anderson1.k12.sc.us. You can also talk to one of our staff, which to this point consists of the folks who have worked on the last two issues.